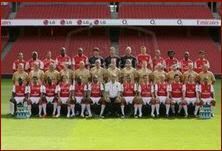 Having recently been overtaken by Chelsea in the Premier League table, it is almost unthinkable that Arsenal could drop another place before the season ends, thus having to go through the qualification stages of the Champions League later this year. However, Manchester City midfielder Nigel De Jong believes his team can cast a further blow to the Gunners season by overtaking them into 3rd place over the coming weeks. As things stand, those watching live football regularly will be able to tell you that Arsenal are only five points ahead of City and Roberto Mancini’s men have a game in hand. Looking at it like this, it really could happen. How disastorous would that be? The fact that it is even being talked about is a negative thing for Arsenal. Not so long ago they were neck and neck with Manchester United with the title, now they are being chased by the blue half of Manchester and might not even finish in the top three. Not the most interesting of quotes I am sure you will agree, but it has highlighted an issue that not many would have thought about. Chelsea snuck up on Arsenal and now it is Manchester City’s turn. If Arsenal drop to 4th, it would be a disastrous end to a season that has crumbled before them. The pain of a sixth season without a trophy would at least have been eased by the fact that Wenger’s young side are Manchester United’s biggest challengers for the title, but that is a distant memory now. Arsenal just need to pick themselves up again and make the most of what is left of this campaign. The aim has to be to finish 2nd. Brush aside the threat from City, overtake Chelsea once again and finish on a positive note. Otherwise, it could be a very long final four games. Same old Arsenal, can Wenger change things? You could forgive Arsenal fans for feeling a sense of deja vu as yet another season looks set to end unfulfilled in depressingly familiar circumstances. After beginning February with hopes high in four competitions two disastrous months have seen them fail in all of them. You get the impression though that the fallout from this year may actually force Wenger to divert from his stubborn path of bringing through young players. To an extent it is admirable, and to keep the club comfortably in the Champions League positions while they pay off debts from their new stadium and so keeping the side in profit is testament to Wenger's skill as a coach. Most Arsenal fans acknowledge this and so do not want the Frenchman to leave. What frustrates them though is when Wenger says the money is there, but he chooses not to spend it. That in their eyes is Wenger's own pig-headedness and ego getting in the way of success. Everyone, be it an ex-pro, manager or fan can see what is wrong with this Arsenal side. Where are the Tony Adams's of the Patrick Vieira's? The drive and determination not to be beaten, to pull team-mates through difficult games, it has been absent from this Gunners side for years, yet each passing trophy less season only seems to strengthen Wenger's determination not to do something about it. They may qualify for the tournament, but the Champions League promotions suggest they are always missing something. But now I feel he has little choice. The take-over by American Stan Kroenke may have an impact on the internal politics of the club and although I'm sure Wenger will retain full control of player purchases, he maybe leaned on to spend big. Those looking at the Champions League best odds next season should bear this in mind. I don't necessarily think that would be a bad thing because if that had happened last summer and Wenger had bitten the bullet and bought Mark Schwarzer, or Gary Cahill or Phil Jagielka (could you see those three making such a catastrophic error as the one seen in the Carling Cup final?) players with grit and leadership, they may be ending this season in a far better mood than they are. Which strikers will be leaving Arsenal? With the season drawing to a close, the reality is that, for many players, this will be their last few months at their current club, and for Arsenal those players who are quite likely to be leaving in the summer just so happen to be strikers. After seeing Nicklas Bendtner fail to display anywhere near enough consistency and decent performances on the pitch, despite the occasional flash of what could loosely be termed as brilliance, and Carlos Vela even fail to make the bench at West Brom, the chances are that these two players will be among the first to form the mass clearout that Arsene Wenger surely needs to implement if he is to purge his squad of the deadwood that has stopped the Gunners from displaying the kind of potency needed in front of goal for sides to win either the Premier League or the Champions League. As anyone following the football odds will know a lack of goals has been a problem at times this season. If Arsene does decide to go the whole way by removing the weak points in his squad, it seems likely that a man who only arrived last summer will be on his way out, Marouane Chamakh. With Chamakh having played well during the first half of the season, many thought the he would continue to make a real name for himself in the league, but since around January he has failed to perform at anything like that kind of level and isn't proving to the loyal Gunners fans that he is capable of being a hit over in England. However, although all these players may have to be shipped out, the real question for Arsene Wenger is who he would replace them with in order to strengthen his side. The name of Danny Fiszman is not one that will be recognised outside directors' boxes and the home of Arsenal FC, but the name is one worth remembering, for he was a man who had a massive influence on football in the current era, with Fiszman the brains and indeed the man who provided the vision behind Arsenal's move to the Emirates stadium. Despite his sad and untimely death, his lasting legacy at Arsenal will be one that surely lasts far longer than any previous legacy left behind by previous players, managers, or owners. Those betting football money should remember this. With Arsenal now having the finances (despite manager Arsene Wenger's reluctance to use them) and the capacity to make the transition from a club that can bring in a decent revenue to one that can be capable of competing against the top sides in the world like Real Madrid and Manchester United, who had previously been able to out-earn Arsenal, it's clear that Fiszman was a man who worked wonders at the club. Those looking at the Premier League betting will know the side is always likely to challenge for the title. If Arsenal can now go on and one day in the near future win a massive competition like the Champions League or the Premier League, then the Gunners fans and management will know that, despite the fact the current players and staff will deserve most of the credit, the victory would not have been possible without the vision and inspiration that Danny Fiszman brought to the club. If Arsenal can experience this level of glory, the Fiszman family will know that Danny's dreams for the club have come true, even though he is not there to witness them become a reality. For this reason, the Arsenal players now have further incentive to go out there and win the Premier League this season. Is Diaby finally on his way out? Arsenal fans have become fairly used to seeing their bench remain calm and composed, especially with Arsene Wenger almost deciding on a regular basis to sit there in resignation rather than jump up and down in rage like other managers decide to do, but the reaction of Pat Rice (a man who admittedly is far more animated than Wenger) while observing the performance of Abou Diaby may just turn out to represent the straw that broke the camel's back. Those looking at the Premier League best odds should remember this. With Diaby in the past annoying fans with his slow play, lack of enthusiasm, and most notably his absolute idiocy in the manner in which he stupidly got himself sent off against Newcastle United, his probable exit from the club is one that won't result in too many shocked faces around the Emirates and will be more likely to result in a few bottles of champagne being opened in celebration at his somewhat overdue departure. Having failed to ever live up to the promise that he was meant to have, and failing to convince the fans that he has got the skill and determination to improve sufficiently enough to warrant being paid to wear the famous red and white shirt in the way that the likes of Jack Wilshere and Cesc Fabregas have done, Diaby is now more than likely to spend the remainder of his career cursing the amount of injuries he has received and the way that he has never been able to capitalise upon the faith that his manager has shown in him year in, year out. The Premier League betting offers certainly don't suggest he is likely to win the side the title. For this reason alone, don't be shocked to see Diaby playing for the likes of Newcastle or Wigan a few years from now, lamenting the way his career has panned out. The arrival of Jens Lehmann to Arsenal for a second spell certainly surprised many, but Arsene Wenger has been delighted with the impact of the German goalkeeper on his young squad. The 41-year-old was called upon for the game at Blackpool last weekend when Manuel Almunia was injured in the warm-up and he did a fine job, helping the Gunners to a 3-1 win at Bloomfield Road. As for Lehmann – who was under plenty of pressure from the Blackpool attack in the second-half last weekend – he admitted that he didn’t expect to play for the Gunners on his return to the club. You do wonder whether this short spell as a player again will result in Lehmann taking up a coaching role at the Emirates. He clearly enjoys being abck and Wenger is a big fan of his. Meanwhile, why not check out ScratchCards this weekend. That’s probably what Lehmann has been up to in his spare time! Arsenal still in the title race? Arsene Wenger remains convinced there will be more twists and turns in the Premier League title race and his Arsenal side remain right there in the mix. The French manager saw his side bounce back at the weekend from a poor period that has seen them fall behind in the Premier League title race, lose the Carling Cup final and also go out of the FA Cup and Champions League. A 3-1 win over Blackpool ended a run of three successive draws in the league and means it cut Manchester United's lead at the top of the Premier League to seven points. Arsenal still have a game in hand in their rivals and also have to face United at the Emirates before the end of the season, meaning the Gunners could close the gap to only one point if they win those games. If that happens expect the Premier League betting to be much tighter than it is now. The North London side could also benefit from the fact they only have the Premier League to concentrate on, with United also still involved in the Champions League and FA Cup and those looking for the Premier League best odds should remember this. Wenger described Arsenal's period of struggles as a "massive disappointment" but he has pledged his side will do whatever they can over the remaining games as they look to win the Premier League title. "We have promised ourselves to give everything until the end of the season," he added. "There are still seven games. It is a long time - there are many games." Wenger was forced to field 41-year-old Jens Lehmann in goal at Blackpool due to an injury to Manuel Almunia. Many fans could be worried how a keeper who was retired only weeks ago will cope during a Premier League title battle. The manager himself admits to be "not concerned" but he will definitely get some flak if Lehmann makes high-profile mistakes and costs Arsenal the title over the coming weeks. The PFA Player of the Year nominations have been announced and there is plenty of involvement for Arsenal players with Samir Nasri and Jack Wilshire given recognition for their excellent seasons. Wilshere has been a revelation in the last few months, securing a regular place in the Arsenal and England starting eleven, proving himself to be one of the best young players around. He is up for the Young player of the year award and is most sports betting pundits’ favourite to pip Seamus Coleman, Gareth Bale, Joe Hart, Javier Hernandez and Nani to emerge victorious. Given the season he has had, not many people could argue with this. Another player Wilshere is up against in the young player category is Arsenal’s Nasri who has been extremely influential in the Gunners’ season. His form may have dipped slightly in the last few weeks, but the fact this has been combined with the team’s recent slump says a lot about how important he has been for Arsene Wenger. The Frenchman is actually involved in both the young player and the main player of the year award, so this shows how good he has been in the last few months. It has without doubt been his best campaign in an Arsenal shirt and it is good for him to get some recognition. With regards to who he is up against in for the main award, the other nominated players are Rafael Van der Vaart, Carlos Tevez, Nemanja Vidic, Scott Parker and Charlie Adam. Those placing sports bets note how this is a tough one to call in reference to who should win, but Nasri certainly has a good chance. 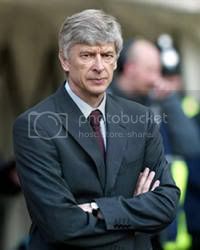 Meanwhile, Wenger has commented on these nominations and revealed that he was particularly pleased to see Nasri get some deserved recognition. The Arsenal boss also said how good the current team is for its age, something that is highlighted by the fact that the Gunners have two players in the PFA Young Player of the year category. 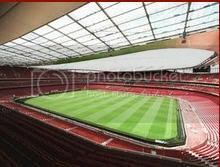 Arsenal fans may well look back at this season and feel a sense of rage and regret at missed opportunities, but at least they might also be about to see their side finally tweaked so that it can really bring some success to the Emirates Stadium in the near future. With Arsene Wenger having refused to accept that his side needed radical improvements until his obvious disappointment at his side's performance against Blackburn revealed that he accepted the need to take a step back and fully assess his players and their failings, the Arsenal manager may finally come to realise that he needs to sign a few players to replace some injury prone individuals like Abou Diaby and Denilson, who just are not good enough to be playing at the top level. Pundits like Andy Gray have argued Arsenal need a change in personnel for a while and it looks like it could finally happen. Should Wenger start to do this, then Arsenal fans may accept this year of disappointment if next season brings success and not just the hope of success which can (and has been this season) ripped away in an instant. He needs to bring in some of the players the transfer rumours constantly link him to. However, if Wenger continues to bury his head in the sand and fails to accept the fact that his squad needs a lot of work done to it for it to be able to compete with the toughness that Chelsea and Manchester United demonstrate and which makes them capable of being champions, then it may just be the case that Wenger finally has to leave the club and accept that his project of building a team from scratch (or at least with minimal investment) has failed. If Wenger can bring in that bit of added quality then maybe, just maybe, next year could be Arsenal's year to return to the big time. Arsenal may not have enjoyed a good time lately in any of the competitions that they have been involved in this season, but that doesn't mean that the Gunners should give up entirely on their title ambitions this season. Yes, the Gunners have failed to play at their best in recent weeks and they certainly have looked to be lacking that bit of spark that they need to be champions, but they have also shown this season that they can pull off a few shocks when they need to if they are at their very best. Furthermore, they know that despite the fact that they have been relatively poor recently, the club was previously enjoying a pretty good run of form that had seen them remain unbeaten and able to pick up points with a far better ratio than the teams around them, including league leaders Manchester United. Those looking at the Premier League betting should bear this in mind. However, if Arsenal really want to pull off a shock and end the season as Premier League champions, then they will need to learn to develop the mental strength that typifies the best sides in European football. If they continue to show the shocking level of vulnerability that makes them only a good team, rather than a great side that can win at will, success won't be coming their way any time soon. The Gunners simply need to start showing that they are all committed to the cause in a manner that was totally absent in their performance last weekend against Blackburn, a game during which very few players looked like they really wanted to win despite the massive importance and repercussions of the tie. If the Gunners can genuinely start to believe, then the players may finally start to repay the faith that their manager has in them and give their fans something to cheer about for the first time in too many years.